WooCommerce is the leading e-marketplace plugin for the WordPress content management system. Adding WooCommerce to your WordPress installation will transform your site into an attractive, user-friendly internet shop in minutes. • Best-in-market blogging system to help your SEO and drive traffic to your store. • Twitter and Facebook integration, so that new products in your store, special offers, and blog posts are automatically posted to your social media accounts. • Access to the huge range of third-party plugins that are part of the WordPress ecosystem, as well as hundreds more specific to WooCommerce. • Simple and easy-to-learn administration, where you need only a limited knowledge of web design and coding to look after your site and keep it up to date. Once you have used the famous one-click installer to set up your WordPress content management system; installing WooCommerce is a simple matter of clicking a button in your WordPress dashboard. Or, if you want to make sure that the process is a smooth as possible, our dedicated support team at Catalyst2 can do all the setup work for you, so that you can concentrate on what you do best, running your business. Why WooCommerce hosting with Catalyst2? 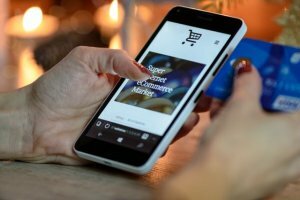 WooCommerce originally began when three WordPress enthusiasts from different parts of the world began sharing ideas over email about how the eponymous CMS could be even better. From these humble beginning’s way back in 2008, WooCommerce was born. Now powering more than 30% of all online stores around the world, WooCommerce is the industry-leading e-marketplace, with more than 7 million downloads since the project began. • Up and running in under an hour. With our one-click installer, and support from our technical support team, your e-marketplace can be up and running in under an hour from when your hosting package goes live. • Use your own domain name. We can check availability and register your chosen domain name; whatever it may be. This means your website can have your name, or your company name, to make it easy to remember and easy to find in search engines. • 24/7 unlimited support. Whether you’re a complete newcomer to online business, or a seasoned expert, our support team are here 24/7 to offer help and support, and answer any questions you have. We respond to all emails within 24 hours, and have a freephone contact number so that, during office hours, you can speak to a real live human! • 30-day money back guarantee, no questions asked. Just drop us an email. • For shared-hosting customers, we will respond to support queries in no more than 30 minutes, within working hours. Because we know that a problem with your website matters to you. • For dedicated hosting customers, our team offer a 5-minute response time to your telephone query, 24/7. • Our UK-based support team are friendly, and we won’t confuse you with technical jargon and scientific nonsense. • We pride ourselves on our stable and reliable hosting. We’ve been in business since 2000 and grown every single year since then. • Value matters to us. We won’t overcharge you, or try to sell you expensive add-ons you don’t need. Our hosting packages start at just £11.99 a year – yes, that’s a yearly price! • And did we mention that we’re based in the UK. Servers, support, sales, everything is all right here in the same country as you.